As a community it is our mission to develop the whole child by providing an academically strong, emotionally nurturing and, socially supportive environment in accordance with AMI guidelines for Montessori education. We are a community of intellectually curious, independent, and compassionate lifelong learners. At Sunstone Montessori we provide rich interactive environments, scientifically designed to meet the developmental needs of children ages 16 months through 6th grade. In these supportive learning environments, indoors and out, children thrive as they develop the academic, social, physical, and emotional skills to succeed for life. At Sunstone we nurture the child’s natural curiosity and empower them to make their own discoveries which leads to a lifelong love of learning. We cultivate the higher-cognitive brain functions critical for advanced problem solving, which leads to intelligent, critical and creative thinkers who can think outside the box. We actively develop and refine the social skills necessary for confident, compassionate, and responsible human beings. Sunstone Montessori School welcomes students and staff of any race, disability, veteran status, sexual orientation, gender identity, color, nationality and ethnicity, religion, and family constellation to all programs and activities at the school. The school does not discriminate in its educational, hiring, admission, or school-administered policies. It is our goal that Sunstone Montessori School reflects the rich diversity of our community, including varied cultures, economic status, and individual or special educational needs. Sunstone is centrally located in the heart of John’s Landing making it easily accessible to the Portland Metropolitan area. Housed in the beautiful historic Terwilliger building, our campus extends three city blocks between Corbett and Virginia Ave. including an expansive front lawn, a playground, a soccer field, outdoor classroom environments, a community garden, a native garden, a water-wise garden, and a learning garden. Sunstone Montessori School has a rich history of growth, evolution and collaboration with the vibrant Montessori community of Portland, Oregon. The successful merger in 2007 of two well-established Montessori schools, Odyssey Montessori School (ages 6-12 years) and Two Rivers Montessori School (ages 2 ½ to 12 years) created what is now Sunstone Montessori School. An extensive, three year search produced an amazing location where we could combine both schools onto one campus. Sunstone signed a lease with Portland Public Schools in May 2012 for the former Terwilliger School site located on Corbett Avenue. Renovation occurred over the summer of 2012 and 2012-13 school year began with all Sunstone Montessori children in one location. In the fall of 2013 we launched our first Toddler classroom with children ages 16-36 months. As of 2016 we have nearly 200 children enrolled in our seven classrooms. 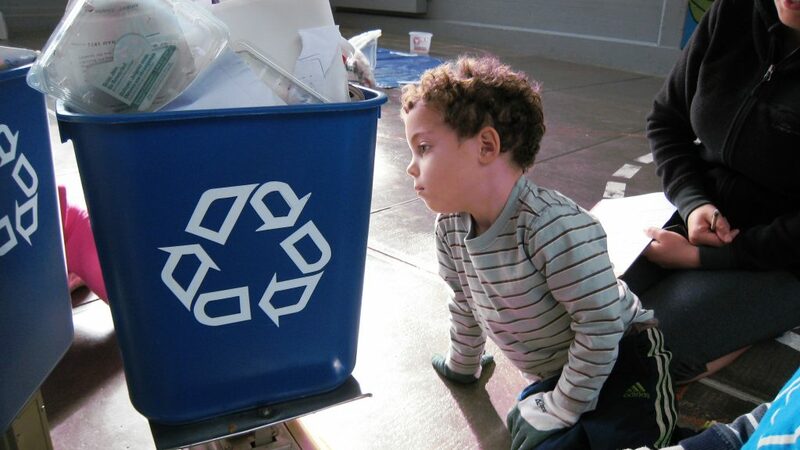 At Sunstone Montessori School, stewardship for the earth is central to our everyday life. Being environmentally conscious is the culture of our community, in our classroom conversations, our daily lessons, the materials we use, the products we consume, our relationship with others and our place on the planet. We have been awarded several professional certifications that we work diligently to maintain and uphold, including Premier status with Oregon Green Schools and City of Portland [email protected] (Gold Level 2014). These certifications were achieved with the support of dedicated parents, students and staff. We also participate in the Portland Eco-School Network and are a member of the National Wildlife Federation Eco-School USA program. We are passionate about maintaining our sustainable practices as well as discovering new ways to be agents of change and environmental stewards for our communities.